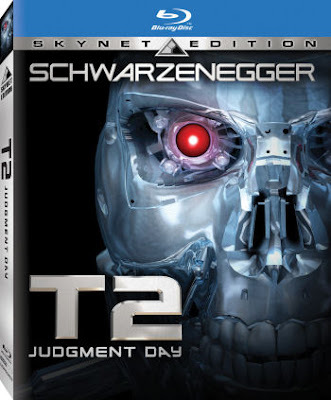 Aside from being one of the best sequels ever, T2 taught us all that sometimes the robots that try to kill us can eventually become our friends and a new Blu-ray SkyNet edition of the film was recently released to coincide with the release of the new Terminator Salvation in theaters. Terminator 2- Judgment Day is one of the high water marks for science fiction action films with acting and writing that matches the wonder of the amazing special effects and it has gone on to become an icon in the 20th Century film canon with its references and theme (which has remained popular in the theaters with films such as the Matrix, I,Robot, and Wall-E). The DVD itself includes multiple versions of the film including the special director’s extended edition which is an encoded Easter egg (type in number 82997) and the alternate versions actually have some real variations from the theatrical release. The film looks fantastic after being optimized for a Profile 2.0 Blu-ray player (it may have limited functionality in a 1.0 player) and James Cameron’s sleek visuals are decidedly crisp and tonally brilliant in this version. As an added bonus the DVD has as a number of added materials such as deleted scenes, commentaries, picture in picture trivia games, and on-line features. More than anything else, it’s fun to watch a great film which stands the test of time and remember back when Guns-n-Roses still rocked and Arnold Schwarzenegger was just blowing stuff up in California rather than vetoing bills?